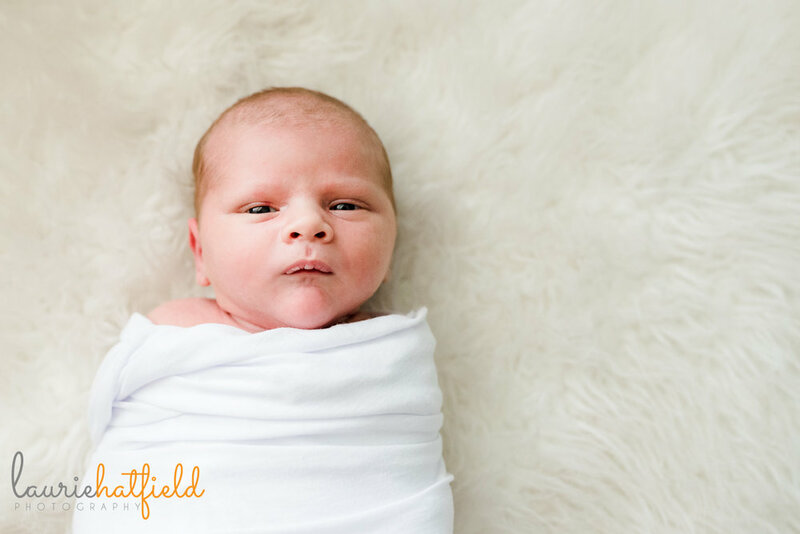 In-home newborn photo sessions are amazing for so many reasons, but one of the reasons I love them the most is that the results are images of YOUR people in YOUR space. And nothing about your space (or your people!) has to be perfect according to some Pinterest standard. Because I promise it IS perfect because it's yours. 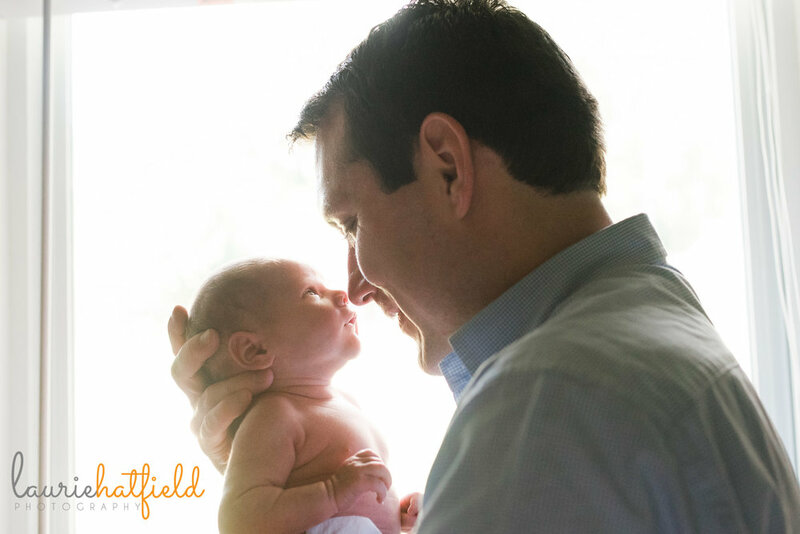 So, how do you get ready for your in-home newborn photo session? 1)Clear clutter, but don't go on a cleaning spree! Let's be real, you just had a baby, and no one has the time or energy to have a spotless house. No worries! The most important thing is to just clear off clutter from nightstands in rooms we might shoot in and make the beds. Just doing those 2 things will make for a less distracting image! If I see something we may not want to show up in a photo, I'll ask you if we can move it. Otherwise, everything can be just the way it is! 2) Turn OFF all lamps and overhead lights and open all blinds and curtains. I know, it seems counter-intuitive! Don't we want as MUCH light as we can get? Well, yes and no. I shoot with all natural light which means I'm using the sunlight that's coming into your home. That kind of light is a different color than the light from your lamps, and when you have both at the same time, your colors come out wonky in the resulting photos. You can also end up with unflattering shadows. I LOVE using window light to get some dramatic light. This adds to the emotion of your photos and is also why I'll want a brief tour of your home before we get started to see how the light comes into the different rooms of your home. Then we'll make the decision as to the best rooms to shoot in. I know, I know, this part can feel so stressful, too! But let me assure you it does not have to be! The star of this whole event (besides the sweet new little face in your family) is actually not even a person or people. It's really the LOVE your family shares. THAT'S our goal--to capture the connections you all share. It means way more to me for someone to comment on the way you're looking at each other than how cute your outfit is. So really we want to keep clothing simple so that all the focus is on the precious connections between you and all your people. Neutrals like khaki and gray always work, as well as light colors such as pink and blue. Pants (as opposed to shorts) are preferable for dad, and moms can go with either pants or a long flowy dress. Moms, it's especially important for you to be comfortable, so I actually suggest choosing your clothing FIRST and working everyone else around you. I love everyone in bare feet so we can play on the bed without worrying about getting bedding dirty! If there are older siblings, keeping them comfortable is first priority. Pick something for them that isn't itchy or bothersome, that they can move around in a little bit and still coordinates with the rest of the family. For the newborn, I actually love just a diaper on them for a majority of the shots. I have solid white onesies I can bring and white swaddle blankets. 4) Prepare to get close! I mentioned that our goal is to showcase the love and connection between your family. The main way we get there is to get close and PLAY! I'll make sure we're in some good light and get you nice and close and then have you snuggle, get closer, and talk or play. I'll guide you every step of the way! I always love when families have certain things they like to do as a family and we find ways to incorporate that into our photos. This might be reading books, playing with certain toys, singing songs, having a dance party, etc! 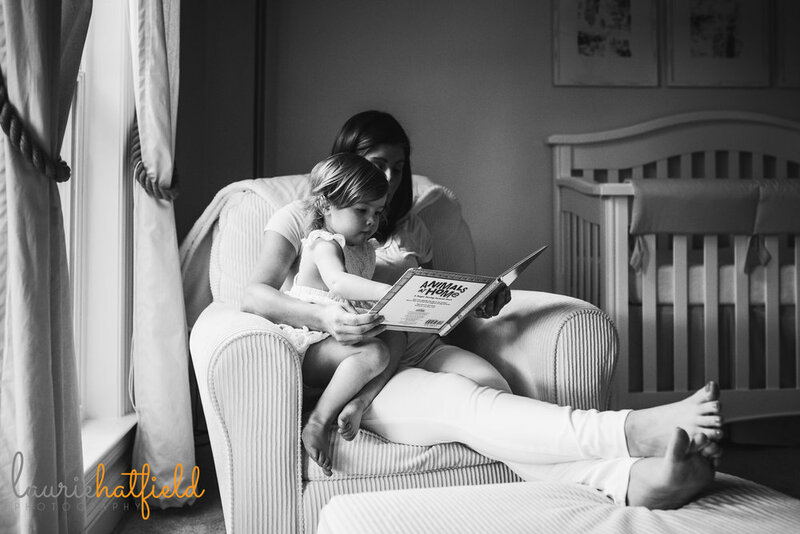 I'm here to document what YOUR family loves! 5) Prepare siblings for a fun time! If you have older siblings, prep them a little before I arrive that we're going to do some fun things together, and we'll have pictures to look at later! They may begin to shut down at the thought of taking "regular" photos, but assure them you're going to get to play and have fun! Ask THEM for some ideas of fun things they'd like to do while we take photos. Try not to immediately rush to "If you're good for pictures, we'll get a treat when we're done" before we even begin. I can't tell you how many sessions I've completed where kids are actually wanting to stay LONGER! By promising a treat at the beginning, it kind of sets the stage that what we're about to do is boring or painful, and it's my goal for it to be anything but! I am always quick to give young kids a break when it seems like they need one. And YOU can always feel free to comfort, tickle, or fly a kid in the air if they love that! Whatever it is that you know makes them content or joyful! 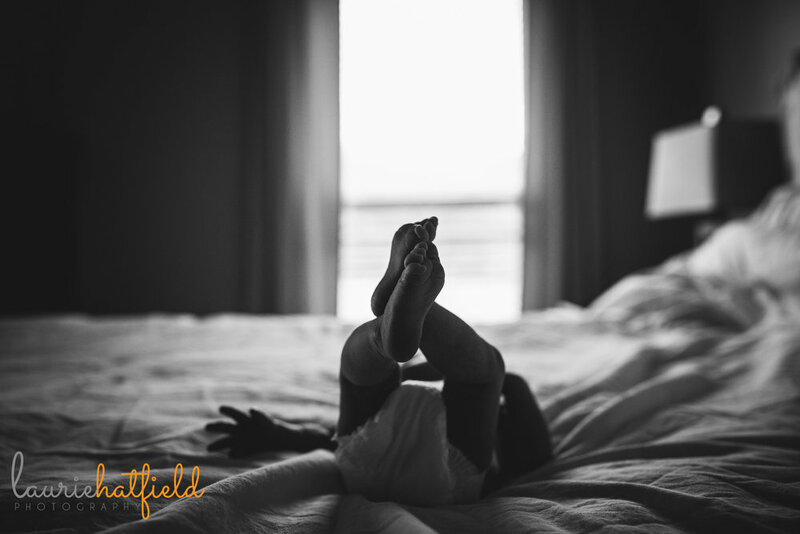 Hopefully this is helpful as you're preparing for your in-home newborn session. It's so freeing to let go of "perfect." All your house needs is a window or two and a family that loves each other. I'll take it from there in capturing memories of this precious time that's perfect just the way it is.